Marriage is a picture of Christ and His church. We recognize marriage as solely the union of one man and one woman (Genesis 2:24, Ephesians 5:31, Matthew 19:5). We believe that the dispensations are not different ways of salvation. We believe that according to the "eternal purpose" of God, salvation in the divine reckoning is always "by grace, through faith," and rests upon the basis of the shed blood of Christ. We believe that God has always been gracious, regardless of the ruling dispensation, but that man has not at all times been under an administration or stewardship of grace as is true in the present dispensation. We believe that the work of Christ is evidenced by a changed life (James 2: 14-17, 2 Corinthians 5:17). We believe, that in this age, certain well-defined ministries are committed to the Holy Spirit, and that it is important for every Christian to understand them to be adjusted to them in his own life and experience. 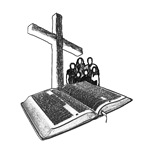 These ministries are: the restraining of evil in the world to the measure of the divine will; the convicting of the world respecting sin, righteousness, and judgment; the baptizing and regenerating and indwelling of all believers; and the provision of power, comfort, teaching, and illumination for those among the saved who are yielded to Him and who are subject to His will as revealed in Scripture.